When you network with people, you hand them a business card. You want them to call you when there is a business opportunity. So the best case scenario is when they save you as a contact on their phones. But this is tedious process i.e. typing in the contact details one-by-one. The good news is that a Business Card QR Code makes it really easy. There are two types of QR Code business cards – dynamic and static. 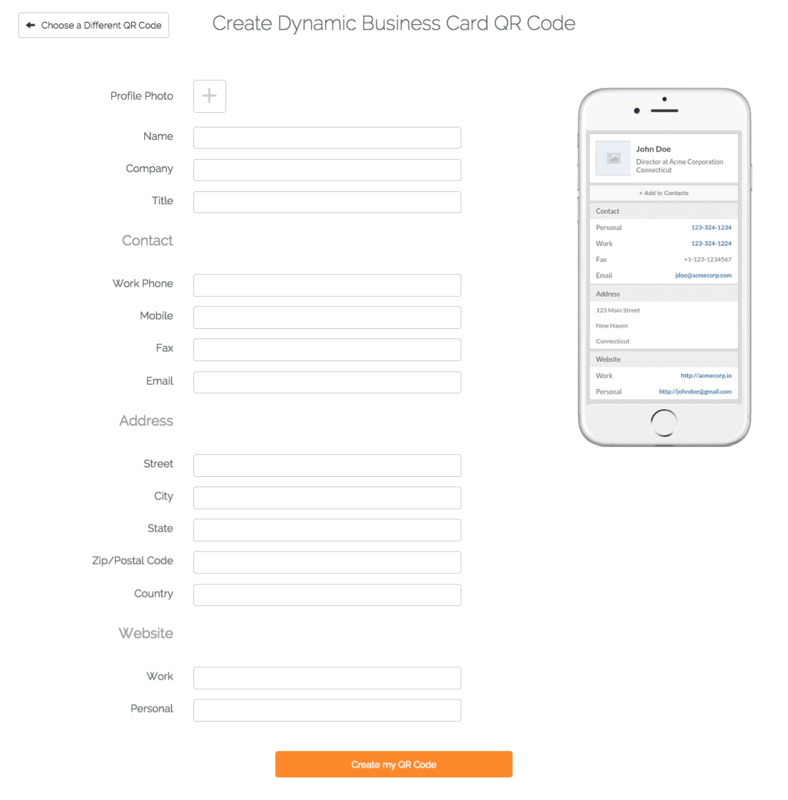 A Dynamic Vcard QR Code creates a personal webpage that shows information such as contact details, photos, important links, and a button to add you as a contact. The advantage of this option is that you can edit the information at anytime without the need to reprint the QR Code on your business cards. 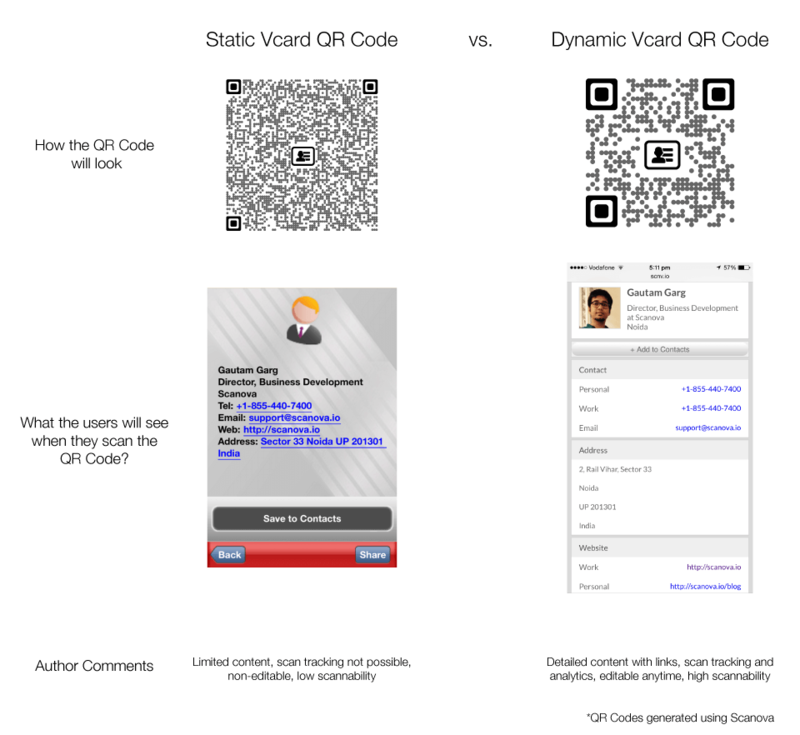 A Static Vcard QR Code encodes your contact information in the code itself. When this code is scanned, the scanning device gets a prompt to save you as a contact. No internet required. 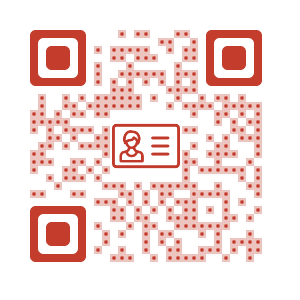 Note that static business card QR Code can be used in email signatures as well as print promotional material (especially for self-employed professionals such as real estate agents, lawyers, doctors, and accountants). Also, it is important that you take care of the minimum size required for the QR Code image to be printed on your business card. Read: What are the different types of QR Codes I can create? 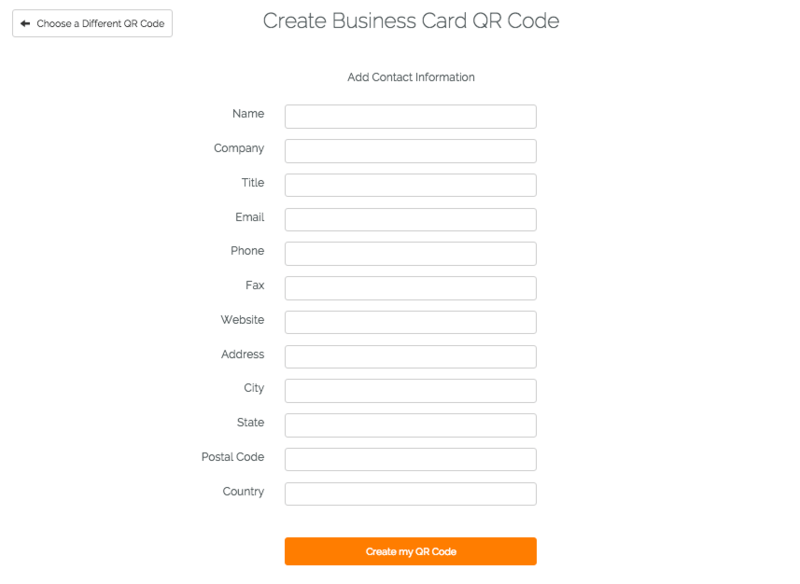 How to create a QR Code business card? 2. Enter your contact information in the fields and click on Create My QR Code. 3. Next you’ll see three design options to choose from—standard black-and-white, fancy with custom logo, or fancy with custom background. 4. You can either Customize each design or simply proceed to Download the QR Code image. 5. Note that you will need to sign-up for a free trial account before you can download the QR Code. An account is required to save and edit your contact details and QR Code design. 6. To edit contact details or QR Code design, or to download the QR Code again, find the QR Code in the Campaign Manager from the dashboard of your account. 3. Next, you’ll see three design options to choose from – standard black-and-white, fancy with custom logo, or fancy with custom background. 4. You can either Customize the design of your choice or simply proceed to Download the QR Code image. 5. Note that you will need to sign-up for a free trial account before you can download the QR Code. An account will save your QR Code for future use. 6. To edit the QR Code design or to download the QR Code again, you can find it in the Campaign Manager of your account. Today QR Code business cards are even being used in conferences. You can also follow our video tutorial to create a QR Code for your business card. You can now go ahead to choose an appropriate business card design. And add this QR Code to make your business card hi-tech. Note that you must follow best practices while designing your business card. This increases the chances of people connecting to you.